Intel has confirmed that its current Medfield processor found in the likes of the Orange San Diego and Motorola Razr i (Droid Razr M in the US) does not offer support for LTE. 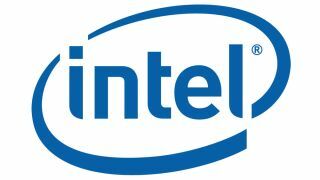 However Intel is working on a solution, and Sumeet Syal, Intel's director of product marketing told Tech Crunch that it was planning on "shipping some LTE products later this year and ramping into 2013". As 4G becomes more and more popular around the world, Intel needs to get a move on with its LTE-enabled handsets, otherwise it risks being left behind by the already well-established Nvidia, ARM and Texas Instruments. Alongside 4G-enabled processors, Intel is also reportedly working on a dual-core version of the Medfield chip – which could rival the quad-core chips found in the likes of the international versions of the HTC One X and Samsung Galaxy S3. Syal said: "Our next gen product will be a dual-core but again that product will also have hyper threading so essentially… you will also have dual-core with four threads. "So again just like we demoed that a single core hyper-threaded can outperform dual-core/quad-core I think we'll do it again when we introduce the dual-core product with four threads." Currently there's no information regarding the 4G or dual-core handsets Intel has up its sleeve, but we'll keep our eyes and ears open for any more information.